Photo: Birthday fun just seems to click at Snapology. 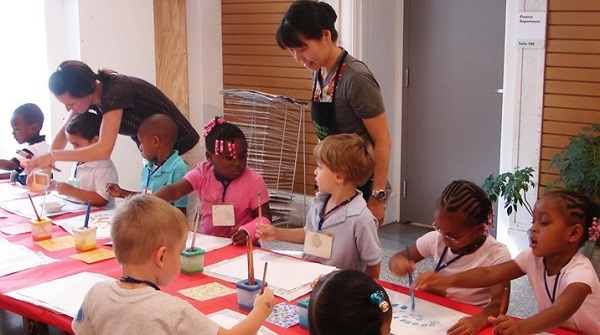 Making fun and making art go together at The Children’s Museum. The Children’s Museum of Pittsburgh has long been a bastion for creative learning that invites kids to look and touch. 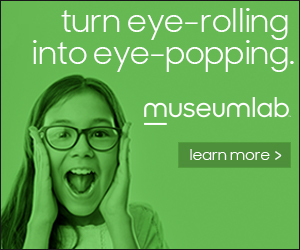 Guided by a Museum Party Pal, the guest of honor and their guests can explore the hands-on, interactive displays. Celebrations, which are offered on Saturdays and Sundays at the North Side landmark, include 90 minutes in a public or private space, a surprise gift for the b-day child, free return passes for each little guest and a complimentary parking pass for the host family. Old school gaming can be a blast for kids at Pinball PA.
Want a birthday party that’ll make your kids flip? Pinball PA in Hopewell has more than 400 pinball machines and video games spanning 70 years of arcade history. Leave the quarters at home, because all of the devices are set to free play for two hours of fun on the game floor. From a small party of five to large gatherings of up to 20 people, the facility has private rooms available. At Snapology, kids and their friends can make more than just a mess. 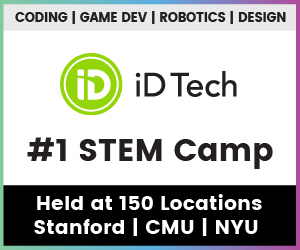 The business, which was started by two sisters in Pittsburgh and now has more than 70 locations in six countries, allows guests to explore STEM/STEAM concepts using LEGO bricks, K’Ne, robots and other hands-on components that’ll make kids feel like scientists and engineers. Cool skates get the fun rolling at a skating party. Neville Roller Drome, a fixture on the island for 70 years, is a great place for throwback fun. 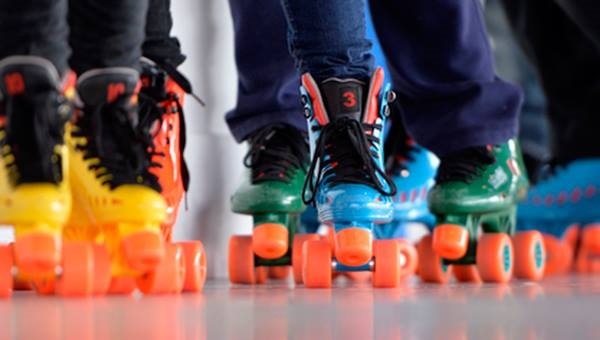 Kids can lace up a pair of skates (rentals are included in all party packages) and burn off those ice cream-and-cake calories as they have a blast on the rink. During 2- to 3-hour private parties, hosts get to select the music and games and good eats from the café menu. Penguin Point is a popular stop for kids at the National Aviary, where they can come face to face with their favorite birds. Flock to the National Aviary on the North Side for some high-flying fun! Get up close and personal with a feathered friend (the facility’s new resident armadillo also is available), have a parrot paint you a picture, dissect an owl pellet or design your own bird-themed bash. The Kookaburra Kitchen Catering Menu offers an array of food that goes beyond seeds, so bring your appetite. Let them make and eat cake — after they’ve baked it — at Gaynor’s School of Cooking. 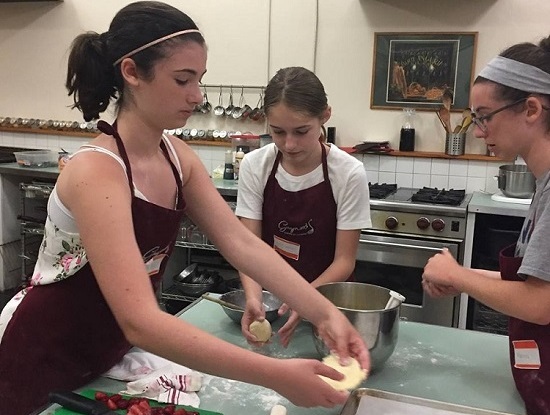 Allow your little chef to explore their creative side in the kitchen at Gaynor’s School of Cooking on the South Side. There are lots of menus to choose from, from simple snacks, such as fruit-on-a-stick with cinnamon dip, to more advanced recipes that teens can tackle, like Thai watermelon salad, breaded chicken or fish escalope and chocolate fondue with pound cake. Circus thrills contribute to party excitement at Iron City Circus Arts. 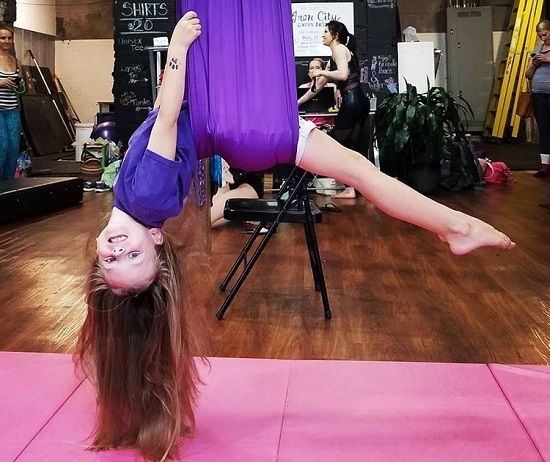 Iron City Circus Arts, a South Side-based organization dedicated to preserving Big Top entertainment, helps kids become aerialists. Experts will familiarize your little clowns with the equipment, basic movements and techniques so their imaginations can soar. 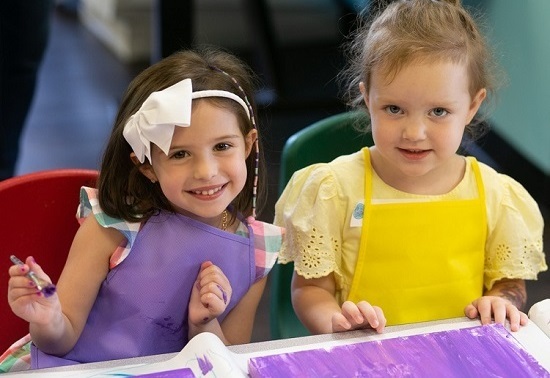 Kids can discover the artist within at a party hosted by Dots and Doodles art studio. Have a budding Warhol in the family? Dots and Doodles in Wexford offers 2 hours of party time in the studio where young artists can paint a canvas or pottery or participate in mixed projects. The birthday package includes invitations and thank-you note cards, all studio fees and supplies, paper products and a special T-shirt for the birthday artist. Be a clown and learn improv and theatrical skills at Penny Arcade. 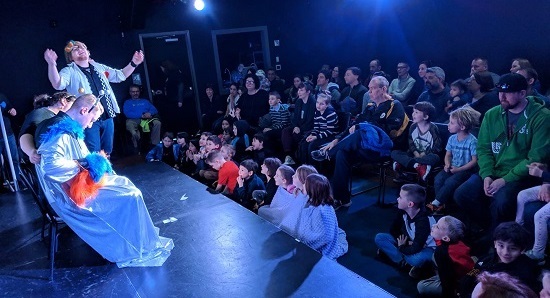 If your kid is a class clown, who craves the spotlight, taking in a Penny Arcade comedy show makes “cents.” The 45-minute improv comedy routine is designed for folks 5 to 12 years old. Guests get to draw, write and craft a performance and watch it come to life on the stage. There are even opportunities for audience members to get in on the act. 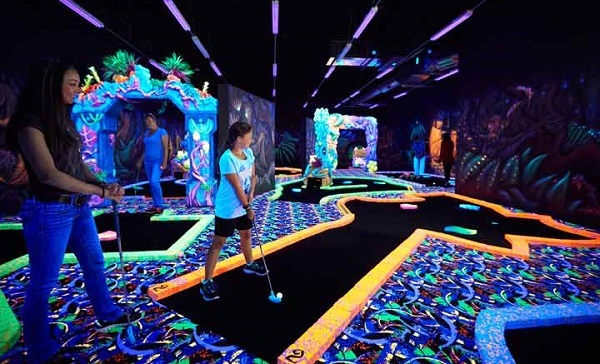 Black light mini-golf is one of the many attractions at Scene 75. Scene 75, the largest entertainment facility in Western Pennsylvania, is located in Edgewood Towne Centre. The former Kmart boasts 90,000 square feet of arcade games and indoor attractions including a go-kart track, a two-story laser tag course, a bounce arena for kids 12 and under, 18 holes of black light miniature golf, a duckpin bowling alley, a virtual reality experience, spin zone bumper cars, a 4D theater, a bank-heist inspired laser maze and a prize alley. Whew!